General in Iran’s Revolutionary Guards kills himself while cleaning a gun. 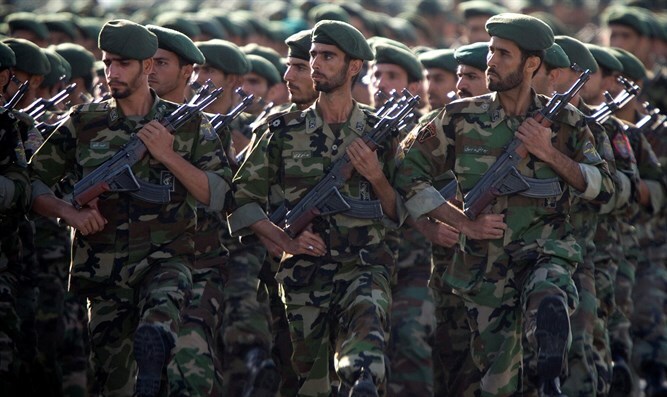 A general in Iran’s Revolutionary Guards who fought in Syria and Iraq accidentally killed himself on Sunday while cleaning a gun, The Associated Press reported. The Guards’ website said Gen. Ghodratollah Mansouri has accidentally shot himself in the head while cleaning his pistol. The report said Mansouri was veteran of the 1980s Iran-Iraq war and a “defender of the shrine,” a reference to Iranians who fight the Islamic State (ISIS) terrorist group in Syria and Iraq. Since 2014, Mansouri was a regional commander of the Guards’ ground forces in the northeastern city of Mashhad, some 900 kilometers east of the capital Tehran, according to AP. Hundreds of Iranian forces have been killed fighting ISIS in Syria and Iraq. Iran is a key supporter of the Assad regime in Syria, having providing the regime with both financial aid and military advisors against a range of opposing forces since the start of the Syrian civil war in 2011. Ali Akbar Velayati, a top aide to Iranian Supreme Leader Ayatollah Ali Khamenei, made clear last summer that Iran would withdraw its “military advisers” from Syria and Iraq only if their governments wanted it to.